So, here it is again, my work in progress. 11 seconds is surprisingly a lot of space to mess around in... I'm thinking that the next time I post this, it will be done. I'm sad that I got sick in November, that didn't help me work on this animation much, neither did seeing Lady Gaga or The Toxic Avenger for Spence's b-day... This past weekend I went to yoga and hung out vintage shopping and espresso drinking with Meika and then gift hunting and noodle slurping and Flight of the Concords watching with my cousin Liz. It was good times! Not very conducive to work I guess. But I sat around working every moment of spare time I could manage in November so I'm taking back December. I hope I can get this done by end of December. Got too many ideas to keep working on the same one for too long!!! 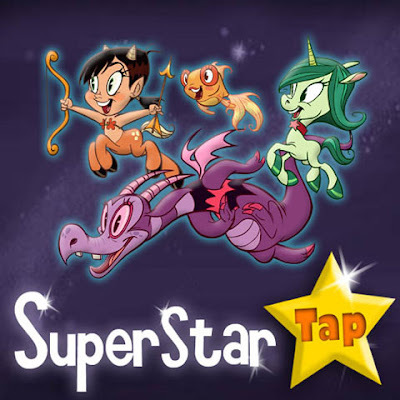 Also, I have to mention that my awesome friend Chris Dainty, who heads up Dainty Productions, did an interview about his new game Super Star Tap for the iphone with Cartoon Brew which can be found here. Thanks! I will finish it! Looking forward to getting it done and starting something new.